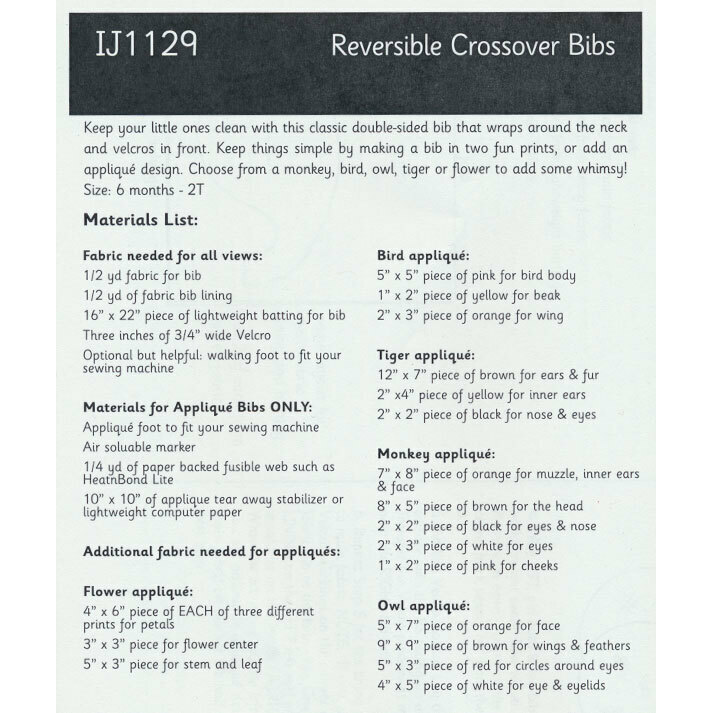 From Amy Barickman of Indygo Junction come these reversible crossover bibs! 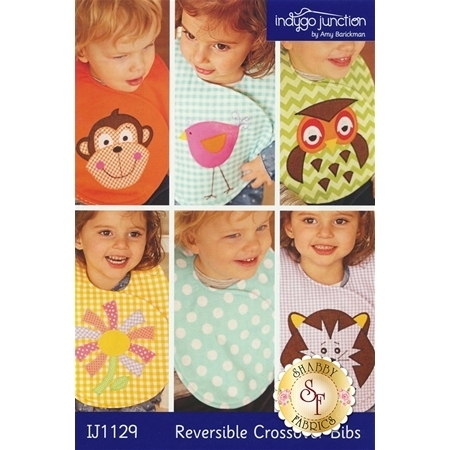 These classic double-sided bibs wrap around the neck and velcro in the front. Create this bib with two unique prints or add an applique design! Finished products fit sizes 6 months - 2T.